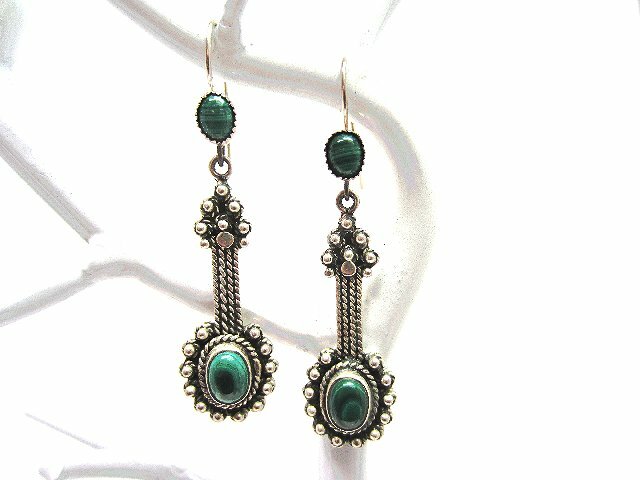 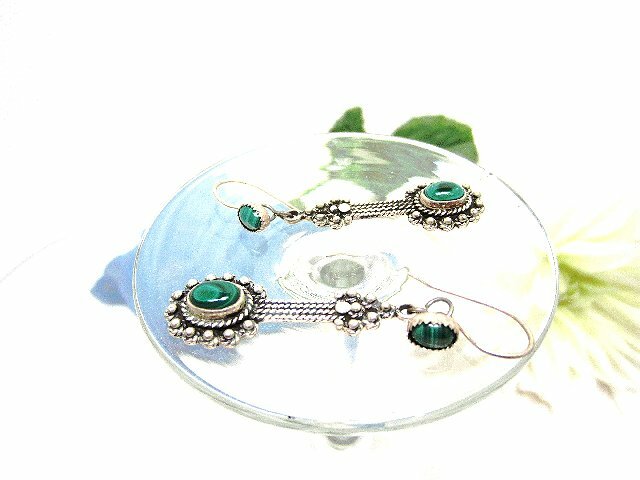 The long, intricate drops and the French hooks are sterling silver and are set with highly polished oval malachite cabochons. 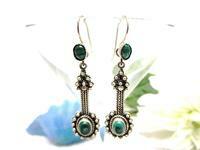 The deep green color against the silver is very striking, and quite beautiful. 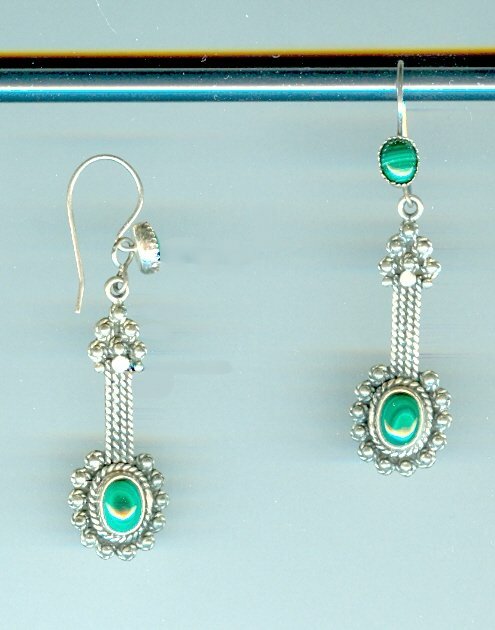 Each earring measures approximately 2-1/4" from the top of the hook to the bottom of the drop. 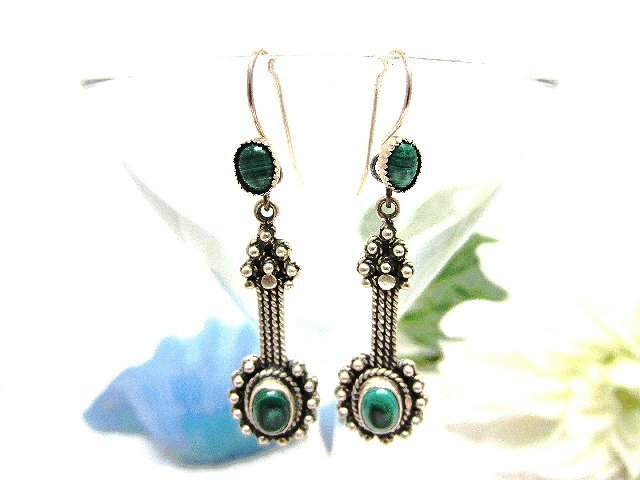 The amount of sterling silver in the drops makes these earrings a trifle heftier than most; while I wouldn't call this pair downright heavy, ladies who prefer their earrings lightweight might wish to check out some of our other designs. 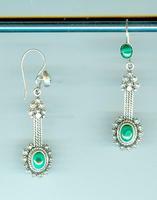 We are SO eager to make you happy here at SPARKLE PLENTY.